The global Ohana is planning for the transition of power, and its head, Dawit Abraham, is anxious to meet the Golden One. Shortly after, Jason begins to experience strange dreams. All the while, he and his four friends are trying to figure out why Mother sent the Golden One to Amberville. Powerful enemies lurk in the shadows, ready to make Jason's existence a living hell. Don't miss the continuation of the thrilling fantasy trilogy about seventeen-year-old Jason Mendez, aka the Golden One, as he navigates the shoals of deception of the people supposedly closest to him. 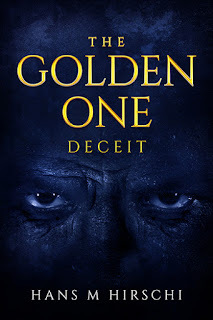 The Golden One is an exciting fantasy trilogy dealing with urgent topics affecting humanity today. A short one because I'm super busy, and I have the third and final part of The Golden One a little way down my editing queue, and I want to read it now, now, now! However, I couldn't let the launch day for Deceit pass without saying something about this novel. Deceit is the second instalment in Hans M Hirschi's Young Adult trilogy 'The Golden One', and it's epic. This series might just win the award for featuring my most-hated character - they're the villain, so it's all good. After all, what is adventure without a decent villain? At the heart of the story is Jason - a young man on the brink of adulthood who's dealing with a lot - his grandfather's relatively recent death, his family's financial struggles, getting through school, thinking about college, getting over first love...being The Golden One and all it entails. Add to that some other stark and quite horrifying revelations, and it quickly becomes apparent our hero really has his work cut out. Surrounding Jason is his small band of friends who understand much of what he is dealing with and are there for him when it matters. As I move through the trilogy, I find my allegiances shift quite significantly. At the beginning of Blooming (Book 1), Laurel was my favourite and Hannah got on my nerves. Now, Hannah's nicked the top spot...for the time being, at least. One can never tell what's around the corner. As this is the second book, it does continue from the first insofar as all the 'who's who' stuff has been done, so whilst you could jump straight into book two and understand what's going on, I'd recommend starting at the beginning. There is a sense in Deceit of being left 'up in the air' as regards the overarching story, which is to be expected with a trilogy, and I can't really say more than the blurb already says without giving away the plot. So I'll just say this is an excellent read for anyone who enjoys Young Adult fantasy adventure at the edge of reality as we know it and appreciates characters who accurately reflect our wonderfully diverse world. 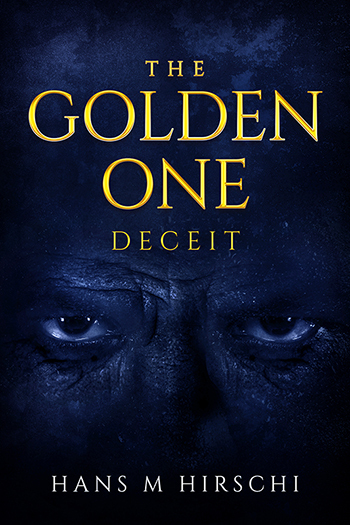 The Golden One - Deceit is book two of The Golden One and is available in paperback and ebook formats from the usual places. Also available: The Golden One - Blooming (book one). Coming September 2019: The Golden One - Reckoning (book three).